Into the Dark S01E01, Friday in the US. 1 episode every month for a year. God Friended Me S01E01, Sundays in the US. Monday - Season finales of Fear The Walking Dead & Insecure. Saturday - Season finale of Wyonna Earp. Sunday - Season finale of Get Shorty. What a gooseberry fool show. "too old for this gooseberry fool"
The Romanoffs, Season One, Friday 12th October. 2 episodes then weekly on Amazon UK. The Haunting of Hill House, Season One, Friday 12th October. All episodes that day on Netflix UK. They left Hill House long ago in the dead of night. But memories of what they saw there continue to haunt them. A series inspired by the classic novel. Monday - Season finale of The Venture Bros & Ballers. Tuesday - Season finale of Better Call Saul & Lodge 49. PostRe: USTV Chat - The Walking Dead & Madam Secretary return. The Venture Bros finale. Only thing I'm waiting for this month is Castlevania Season 2 and in all honesty I'm tempted to give Sabrina a try. Even though I'm not into the whole gritty reboot thing. Though it seems to be a Sabrina show based on a different Sabrina comic and not a gritty version of the original show. Still. I bet it'll be poop. Pedz wrote: Only thing I'm waiting for this month is Castlevania Season 2 and in all honesty I'm tempted to give Sabrina a try. Even though I'm not into the whole gritty reboot thing. Though it seems to be a Sabrina show based on a different Sabrina comic and not a gritty version of the original show. Still. I bet it'll be poop. The Chilling Adventures of Sabrina comic is good. It's from a fairly recent Archie Horror imprint which started with an Archie zombie apocalypse book. New shows for me for the rest of the year are The Romanoffs, The Haunting of Hill House, Sabrina & Homecoming. Sabrina as in 'Teenage Witch' Sabrina? My sister used to be obsessed with that show, not sure how she'll react to a gritty alternative version of it, probably positively. PostRe: USTV Chat - The Flash & Black Lightning return. PostRe: USTV Chat - Supernatural returns. This season has got me quite excited although, sadly, the narrative for the season seems obviously transparent. The majority Goliath alliance consisting of the three duos will be overcome by the Davids, or at least one David come the end. Probably with the assistance of the Goliaths on the outs, like John and Mike. Lots of fun characters this season though and combining the reward and immunity challenges does the world of good. We just get so much more time with the players around camp which allows us to get better insight into what’s going on and why people makes some of the decisions that they do. Current winner pick is Davie. Iron Fist is better than both Jessica Jones and Luke Cage but I'll bet they both get renewed. I guess we'll still see the occasional appearance of Danny and Colleen in the other Marvel Netflix shows though (similarly to Misty and Claire). I've just started watching Turn: Washington's Spies, three episodes in. It's pretty good, though while I feel like I'm supposed to be rooting for the rebels, I can't help but root for the Brits instead. Captain Simcoe has proven absolutely hilarious. If Salem isn't just as he is in the 90s show, I'm gonna be so mad. He never used to be able to speak in the comics and was orange. They switched him in the comics to match the live action version because he was so popular. 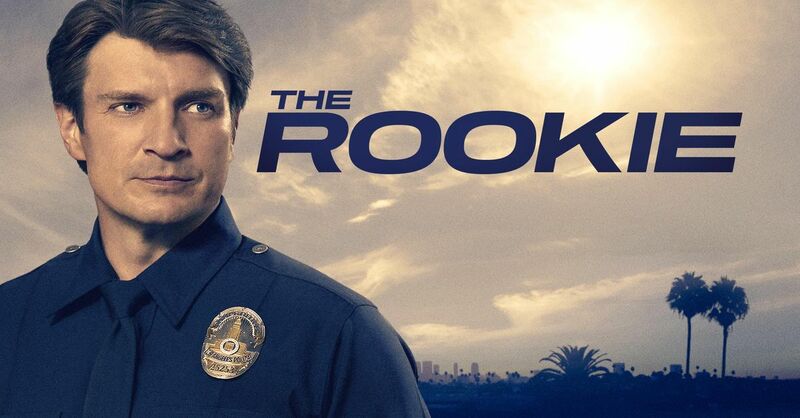 The Rookie S01E01, Tuesdays in the US. Camping S01E01, Sundays in the US. Think I might give up watching Arrow, I still haven't seen all of S6 as it's such an utter banana split to find actual working downloads for it on usenet (only Arrow and Game of Thrones seem to have this problem) and even when I do the audio mixing is so bad I can't tell what anyone is saying most of the time. The only other option is Amazon video but for some utterly unfathomable reason it isn't included with Prime and I don't think the show is good enough to justify paying extra to watch.